You may know of Martin Shkreli, dubbed “Pharma-bro,” the man who caused massive controversy when he raised the price of the life-saving drug, Daraprim, by 5000% in September 2015. Throughout the controversy, he boasted via his Youtube live-stream that he would outwit prosecutors in his federal fraud case. However on Friday, after five long days of deliberation, jurors came to the decision to convict him of three counts of fraud in court. Martin now potentially faces up to 20 years in prison. This includes a maximum sentence of 20 years for the first two charges, and up to 5 for the second. Mr. Shkreli appeared to be quite shaken up as the judge read the verdict. However, soon afterwards he appeared outside and returned to form, stating that he was happy with the verdict. “This was a witch hunt of epic proportions, and maybe they found one or two broomsticks,” he said. Shkreli often live-streams on Youtube, and sure enough he appeared on his channel later that night, sipping beer and joking about prison life from his New York apartment. Shkreli has never taken this case seriously, evidenced by his meeting with federal authorities without representation, as well as making faces during his testimony in a display of blatant disrespect. He went so far as to call the prosecution “junior varsity” and was even seen reading a book during his final statements. He was convicted of three of eight counts of securities fraud: the first count was in connection with his own hedge fund MSMB Capital, The second, in relation to the Retrophin stock scheme; in which he tried to quietly control a large portion of Retrophin Stock, as well as a securities fraud conviction in connection with MSMB Healthcare. Count seven was the most incriminating of the charges. Mr Shkreli had defrauded Retrophin by creating false consulting agreements and unauthorized settlement agreements to pay back his investors. It was the biggest potential monetary loss, which judges take into heavy consideration when deciding sentences in fraud cases. Shkreli showed clear relief and even patted his lawyer on the back when Judge Kiyo A. Matsumoto said he was not guilty on count seven. However, when she announced that he was guilty of count eight, the Retrophin securities-fraud conspiracy, he hung his head. 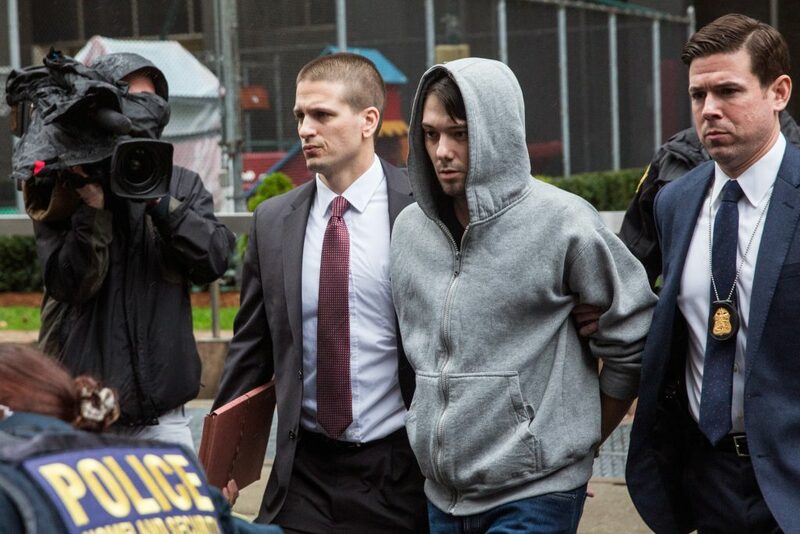 Immediately after the verdict was read, his lawyers gathered in a circle around him, Shkreli looked visibly shaken and put on a hoodie. However, by the time he got outside court, he was smiling and speaking with confidence while he gave his statements to the press. Mr. Shkreli offers statement to press after today’s conviction. A sentencing date has not been set by Judge Matsumoto. She said that she will wait for the submissions from both sides on exactly how much money was lost, before delivering a sentence. 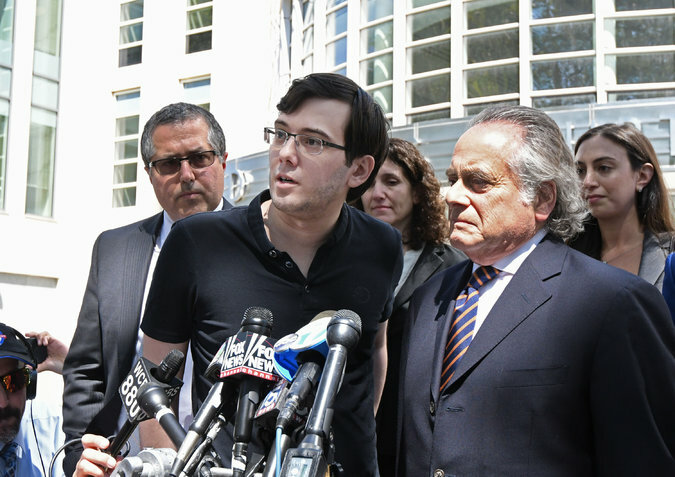 Shkreli’s lawyer, Mr. Brafman said the defense is considering asking for no prison time. The jurors deliberated for five days and only sent one substantive note during that time. One juror, who wishes to remain anonymous, described the deliberations as methodical and logical. They focused primarily on whether Mr. Shkreli had malicious intent towards the investors who gave him money. The jury voted to convict only on counts in which they saw fraudulent intent. His lawyers ultimately focused on the fact that Martin’s investors made back much more than their initial investments. They said this was proof that Mr. Shkreli had never intended to commit fraud. Instead, he had worked hard to get Retrophin off the ground so he could reimburse the MSMB investors. The prosecutors claim that paying Mr. Shkreli’s old investors was not the responsibility of Retrophin, a publicly registered company, and that Mr. Shkreli was misleading his MSMB investors. “Lying to people to get them to invest with you is fraud,” The Prosecution said in their final statement. Previously Mr. Shkreli was famous for his price hike of the drug Daraprim, from $13.50 to $750 a tablet, when he was CEO of Turing Pharmaceuticals in 2015. The media and politicians made him out to be evil for the price increase. 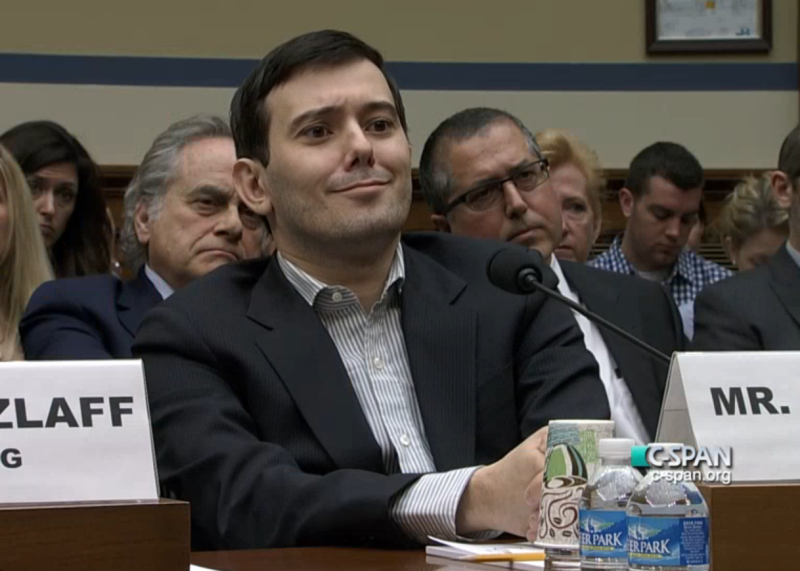 Shkreli responded in classic form by buying another drug and stating that he would raise the price on that one too. He said he imagines serving in what he calls the “Club Fed” playing various sports such as basketball and tennis, and perhaps even xbox.